Autumn Leaf | Zonyxa. Unique and contemporary jewellery for Work. Love. Play. Sinewy dragon breath agate distinguishes this brilliantly translucent necklace. 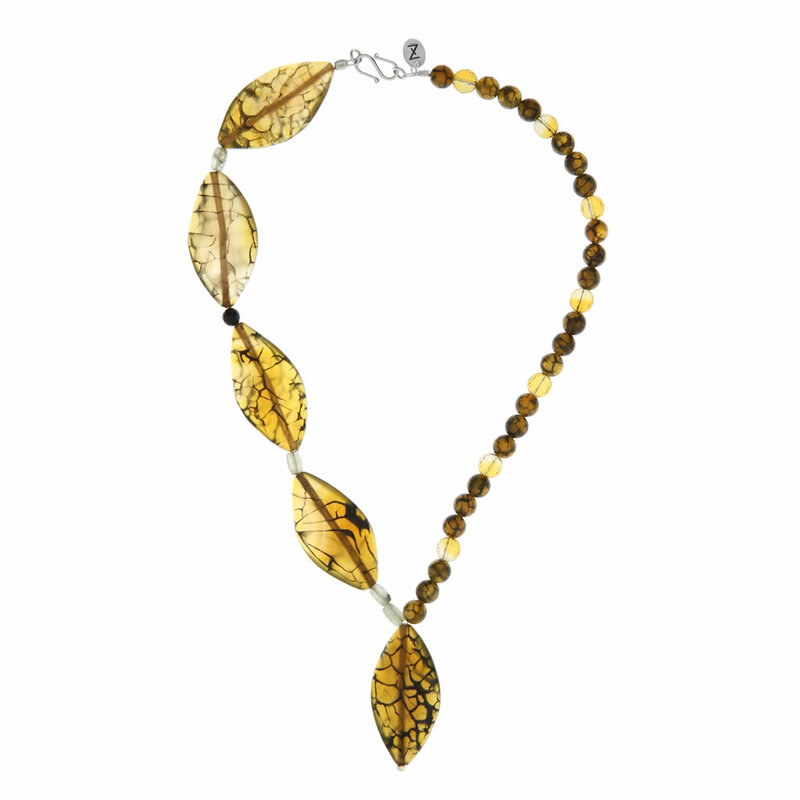 Two sides of the necklace feature different shapes, citrine and prehnite touches with a single sphere of onyx. Adds elegant depth to any outfit. Materials: Dragon breath agate, prehnite and citrine necklace.